Favourite basins are up next in our ongoing series of what’s new, interesting or over the top in bathroom furniture and fittings. 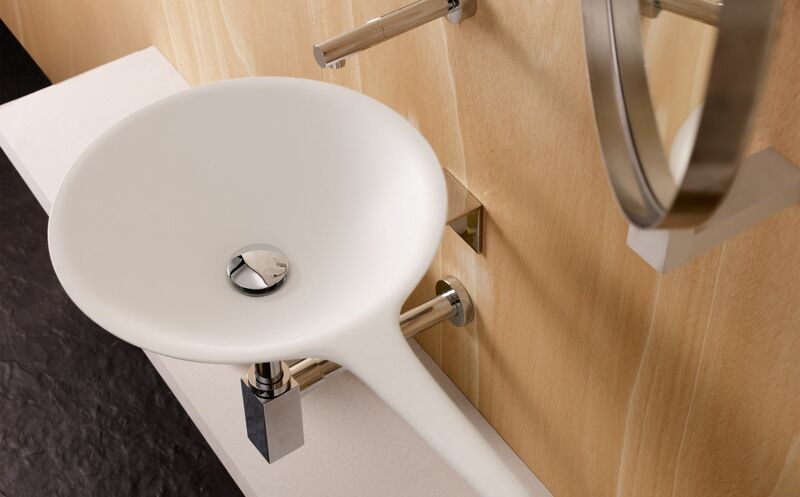 For us its really all about the shape and functionality of the basin. Whether using a solid surface or composite material to achieve a smooth matt finish, technically most shapes are now possible. Porcelain technology has also developed so that curves with very thin rims are possible. Thus organic shapes or curved squares are still very much the trend. 1. Rexa Design, Esperanto, Murano glass. We love the unevenness and texture of the basin and the colour combination of the smoked bronze glass vessel and gold mirror. We are drawn to the Esperanto range because it has a similar look and feel to projects undertaken by Bespoke Bathrooms here in Cape Town. The Esperanto range is designed by Monica Graffeo for Rexa, a small and flexible company based in northern Italy. The range combines elegance and sophistication and plays with contrasts between different materials. The shapes are rounded and soft and the washbasin is designed for comfort in the performance of daily routines. 2. Rexa Design, Fonte, solid surface. The shapes of this collection, also design by Graffeo for Rexa, are striking and sculptural as well as very functional. The level of detail is really fantastic. 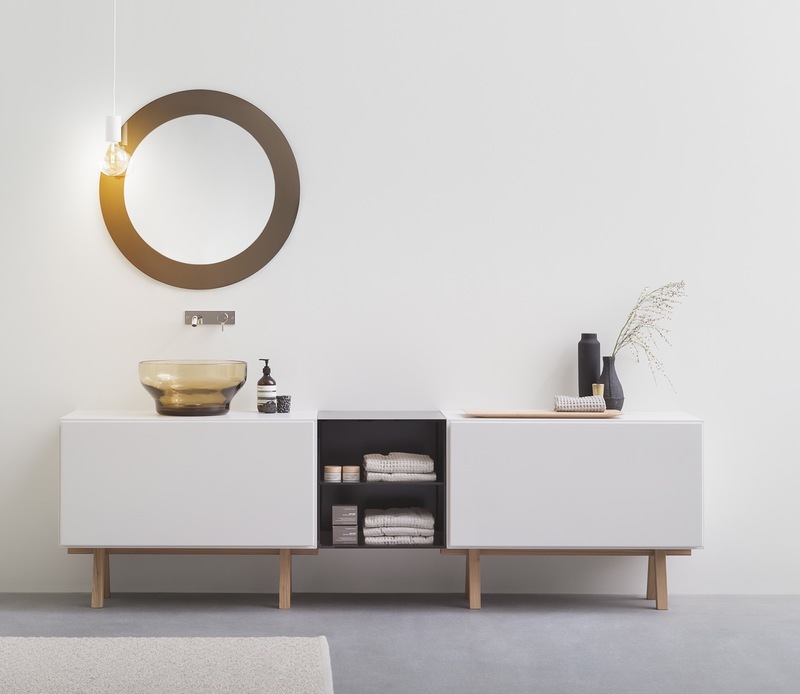 The range has been inspired by the past and its underlying simplicity makes it a truly appealing contemporary bathroom collection, while remaining a practical solution to the daily needs required of any bathroom space. 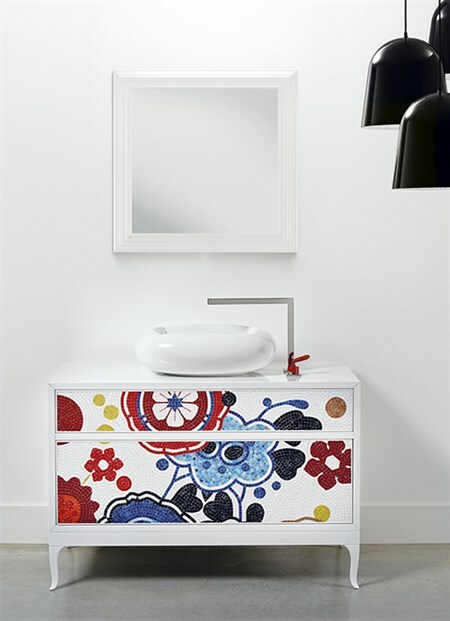 Marcel Wanders, the iconic Dutch designer, considered not only the basin but the vanity to go with it. The mosaic design is a perfect offset to the linear and industrial look basin mixer. The name of the collection, Quadro for Bisazza is Italian for both picture frame and square. Custom-made patterns, in an edition of 12, are applied onto wooden furniture prominently displayed, lending it a joyous character. With stunning colours, each individually shaped mosaic element is lovingly hand cut. We like the idea of the integrated towel rail of the Saja basin from Bathco. This Spanish company has an incredible wide selection of basins, available from Bespoke Bathrooms.